The symbolism of the Poinsettia is related to the Christmas story. The star of Bethlehem showed the place where the baby Jesus was born and led the three wise men to him. The shape of the Poinsettia‘s bracts look like stars. 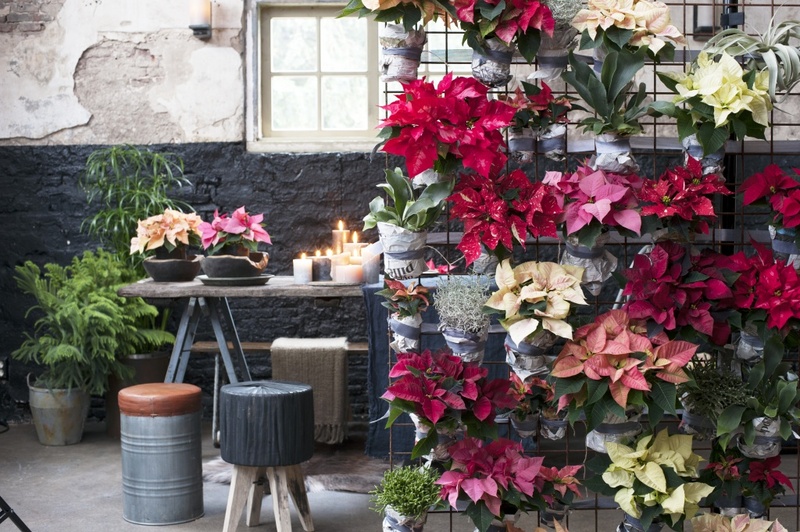 Together with candlelight, the green Christmas tree and the red or white colours of this houseplant, the symbolic meaning of Christmas is complete. 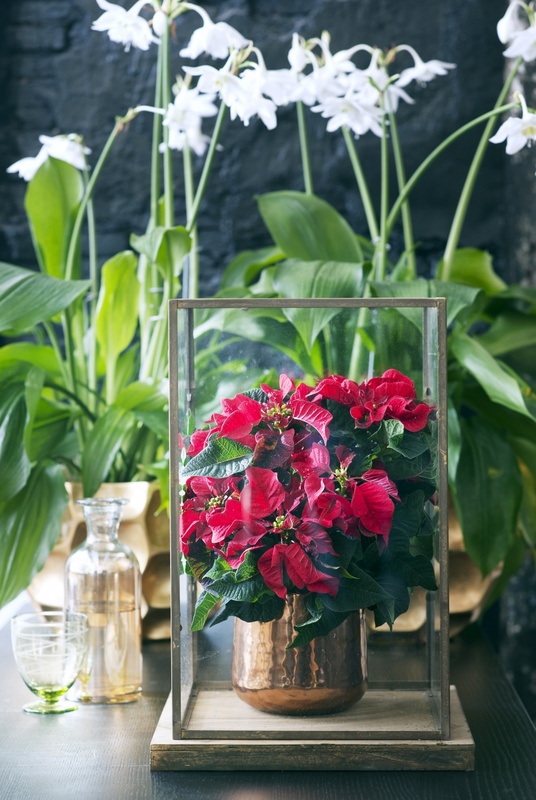 The Poinsettia originates from the humid sub-tropical mountain ranges of Central America. Other plants from the Euphorbiaceae family have spread much further with 2,000 different types. They are all completely different plants: there are creeper, shrub, tree and even cactus types in this family. 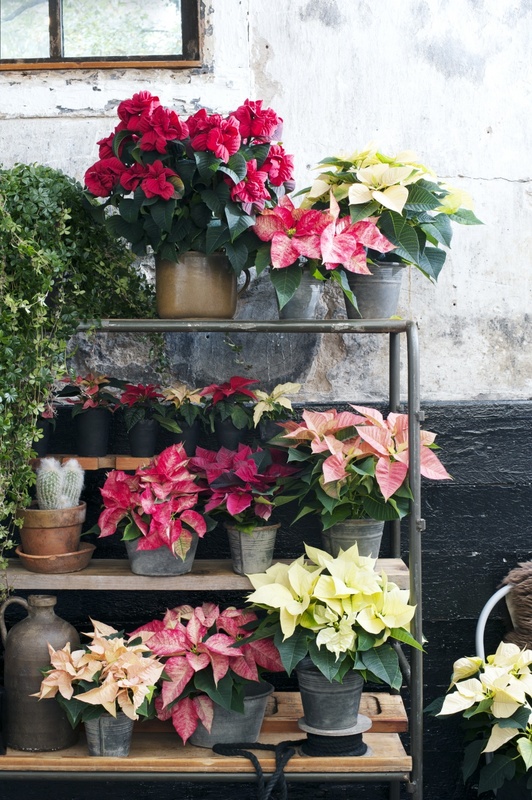 What do you need to look out for when purchasing the Poinsettia? • Plant shape. 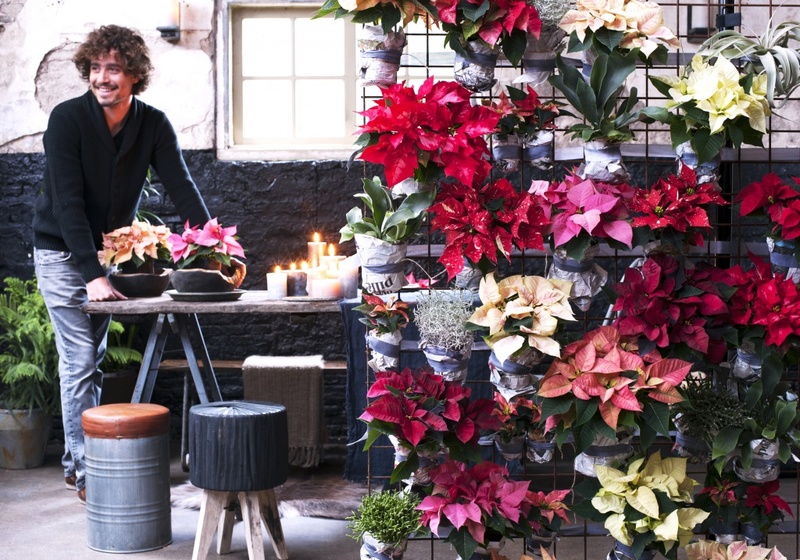 When buying the Poinsettia it is especially important to look at the shape of the plant, the pot size, number of bracts and the maturity. • Indoors or outdoors? It is important to check whether the plant is designed for indoor or outdoor use. 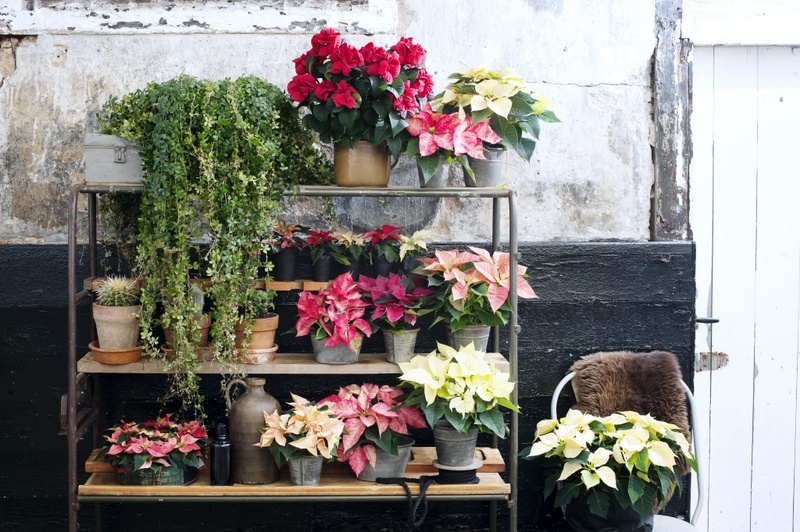 The Poinsettia as a houseplant is a typical seasonal product for November and December. • Health. It is important that the plant is free of pests and diseases. • Damage. If the bracts or leaves are damaged or imperfect, it is possible that this occurred during transportation or storage, especially at low temperatures. The plant is very sensitive to the cold. • Leaves. The plant may have yellow or wilted leaves due to lack of moisture. • Moisture. When there has been too much condensation on the leaves or on the bracts, Botrytis can occur. • Berry or bud. The berries or buds of the plant can drop off if the plant doesn’t get enough light. • Whitefly. Also check the plants for whitefly, which you can find on the underside of the leaves. The range has been significantly extended in the last few years. There are even Poinsettias sold in the summer as garden plants. The E. Princettia is perfect for this. The Poinsettia E. pulcherrima has the most attractive bracts and because of this, it is popular in the Christmas period. There is a large variety of colours, shapes and sizes, from mini to standard plants and from hanging plants to shrubs. The main colours are red and white but there has been strong development into colours such as lilac, salmon, cream and bi-coloured. As well as the E. pulcherrima, there are other well-known varieties of Euphorbia: E. Miliii Group, E. lacteal, E. tirucalli and E. trigona. 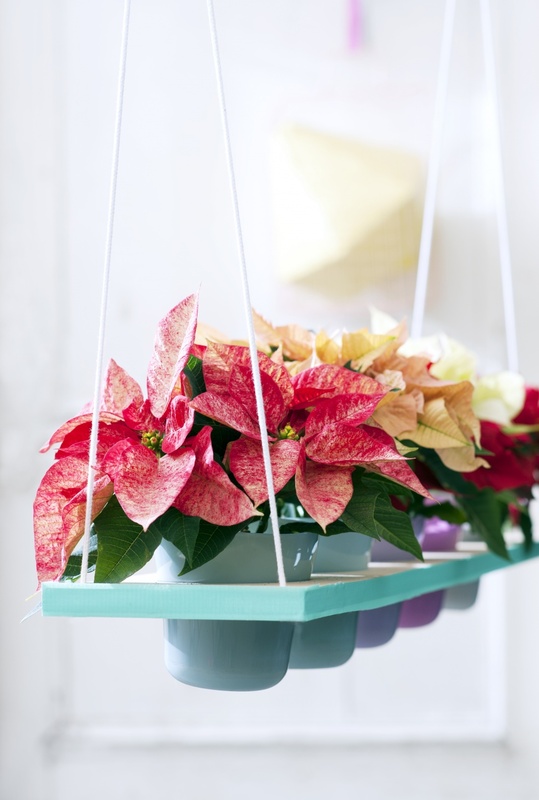 The Poinsettia is a strong flowering plant, but is sensitive to low and changing temperatures. The plant loves a light and warm position indoors. 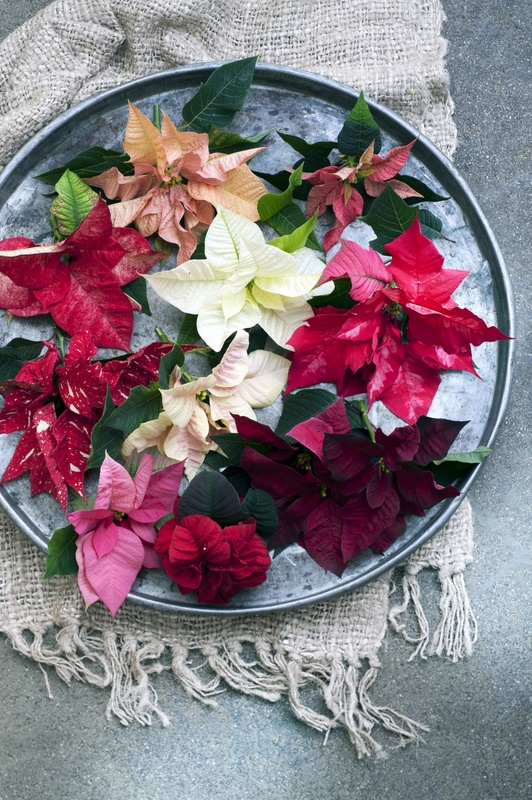 Give the Poinsettia regular water, preferably directly poured into a saucer and ensure that the water isn’t too cold. Also make sure the plant doesn’t get too wet but if the leaves start to wilt, the plant requires water. 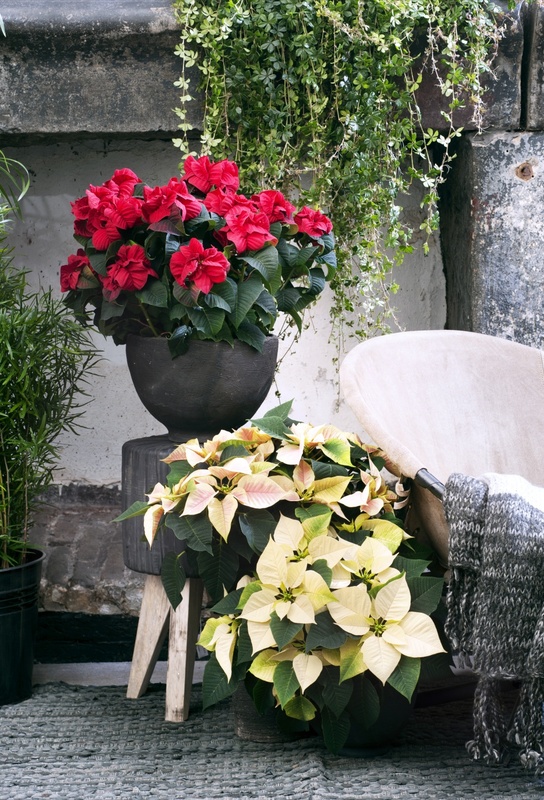 To keep the houseplant looking lovely for as long as possible, give it plant food once every three weeks. Something fun to tell your customers: the bracts are actually not the flowers; the flower is in the middle, often tiny yellow fluffy balls. If a branch of the Poinsettia breaks off, a milky sap can come out of it. If you get it on your hands, wash it off and avoid contact with your eyes. Already a Poinsettia in November? Yes, as a stylish decoration with, for example, a white Poinsettia in a white ceramic pot or a trendy, shiny, copper pot. 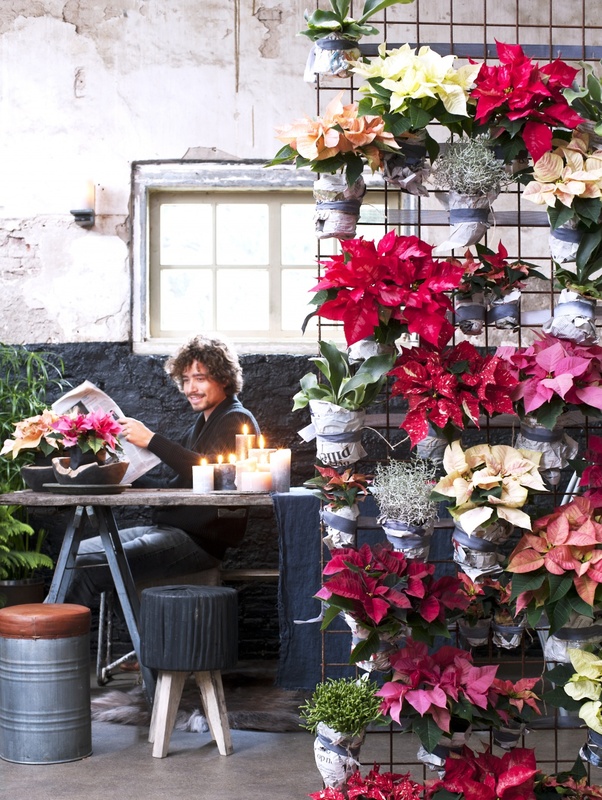 An alternative Christmas tree with Poinsettias is also a great idea to have in the shop or as a tip for your customers. 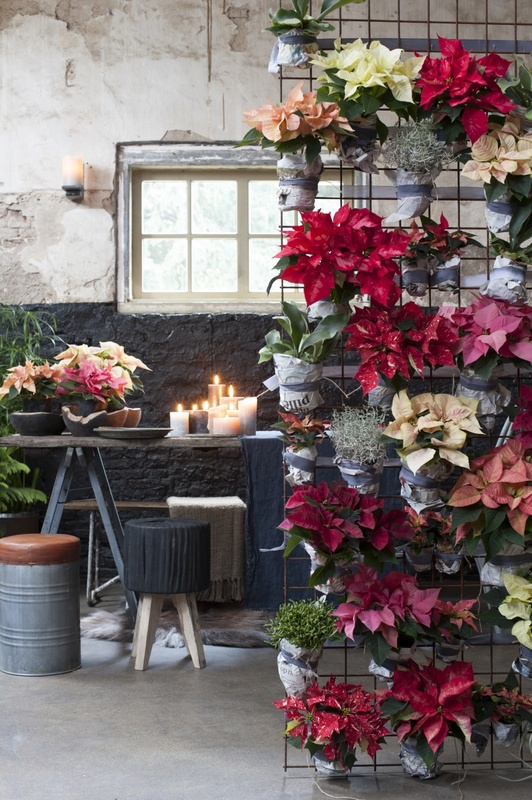 Create a structure where the pots are hung or placed in the shape of a Christmas tree. You can also decorate a real Christmas tree with tiny Poinsettias. Hang them in the tree or another tree shaped structure. Cover the roots with sphagnum moss to stop them drying out, or hang the plants in small buckets. Lovely!